A broken headlight or crushed fender may conceal much more serious damage under the hood. Thankfully, no one is injured in these scenarios; and they are the type of accidents that you are able to not only walk away from, but also drive away from. The apparent damage, whether scratch or dent, looks to be all on the surface and purely cosmetic: nothing to get too wrought-up over, and probably not terribly expensive to fix, if you bother to fix it at all. Your insurance company surely will pay for most of the repair; or, if you have a high-deductible policy, it might just be easier and cheaper to cover the cost out-of-pocket, or ignore it altogether. No problem, right? But wait—not so fast. For one thing, most drivers do not realize just how costly those low-speed collisions—under 10 mph—can be to repair. According to the IIHS (Insurance Institute for Highway Safety), the median cost to fix even the most minor damage to a newer car comes to about $1,500! And here’s another surprising fact: in some states, an insurer can label a car a total loss if the cost of repair (however minor), plus salvage value, equals or exceeds the pre-accident cash value of the vehicle. Thus, if you are the owner of an older-model car to which you are particularly attached, there is a good likelihood that you can kiss ol’ Bessie goodbye if you report the fender bender to your insurance company. The car owner’s biggest concern by far, however, should be with the overall integrity and long-term drivability of the vehicle. Cars nowadays are safer than ever; but that safety comes at a cost. With the advent of unibody frames, crumple zones, modular design, and a slew of high-tech electronic gizmos, the 21st-century car has evolved from a fairly rugged machine into something akin to a delicate scientific instrument. 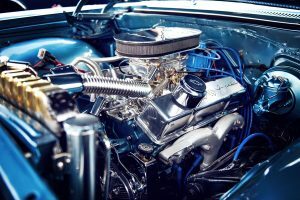 Thus, even a minor collision or small fender bender can result in a significantly more serious problem under the hood. It may not present right away. But when it does, it may turn out to be more costly to repair in the long run—by magnitudes; and, worse yet, it could compromise the safety of driver and passenger alike. 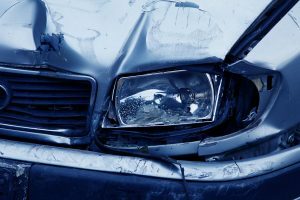 Here are just a few examples of the vital vehicle components most susceptible to unexpected damage after a seemingly minor fender bender. Misalignment of tires can cause them to wear out sooner than they should. 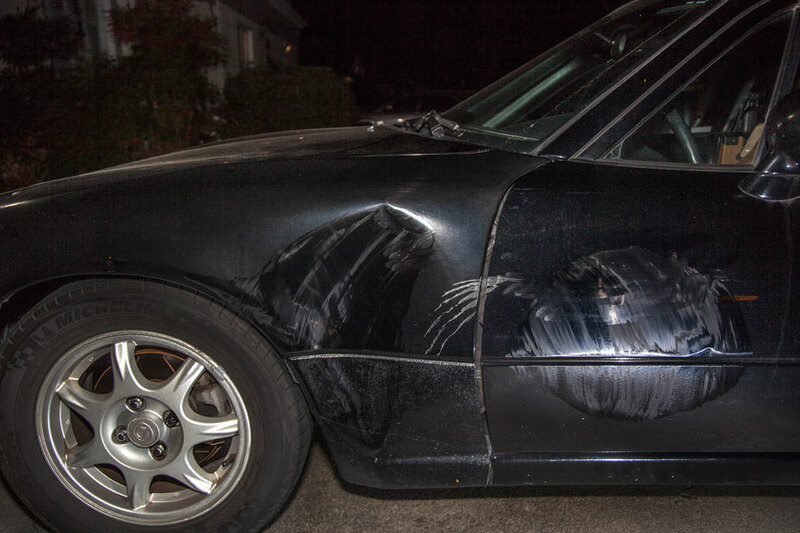 Low-impact front-end collisions often result in unsightly dents to the body of the car. But it is not uncommon for them also to result in misalignment of the front tires. Symptoms of alignment problems range from drifting to shimmying to violent vibration of the car while driving, leading to uneven wear on the treads of the tires, and ultimately to an untimely and expensive visit to the tire store to replace them. This is not something you can check visually. If you do nothing else after such a collision, at least find out if you need to get your tires re-balanced. Your car’s engine, lights, windows, door locks, steering mechanism, anti-theft device, on-board computer—all are powered by electricity. Even a slight jolt in a collision has the potential to loosen one of the wires carrying that electric current, resulting in a short circuit and the failure of one (or all!) of those vital systems. Moreover, if one of your battery connectors gets loosened, it could shorten the life of the battery and perhaps leave you stranded. We think of the frame of a car—the metal chassis that holds together the engine, drive train, suspension, wheels, the whole kit and kaboodle—to be practically indestructible. Assuredly, it is not. 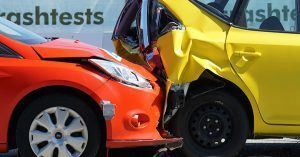 While about half of all traffic accidents result in some level of damage to the frame of the car involved, it is rare that a very minor collision will bend or crack your car or truck’s inner core. Nevertheless, be aware of the fact that there is little or no protection between the frame and the outside body, bumpers, and various plastic covers that “shield” it. 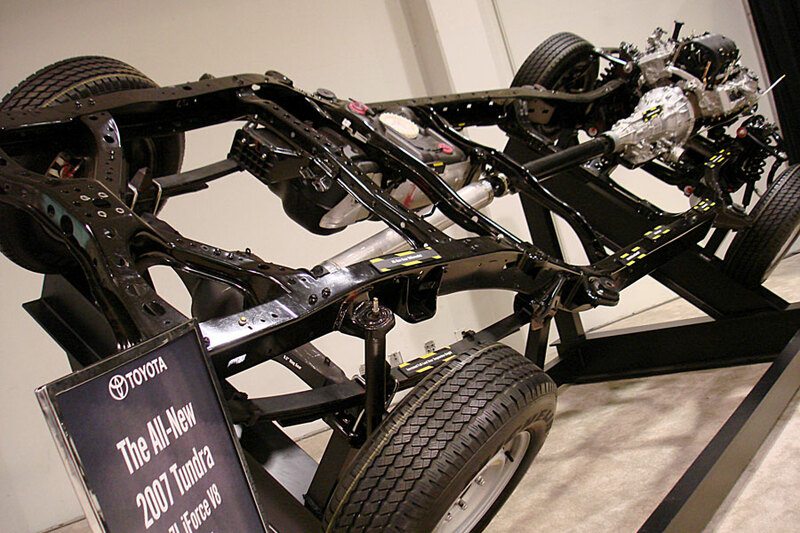 Therefore, always assume the frame could have sustained some damage even in a low-speed impact, placing you at risk. A bent frame could put stress on the windshield and eventually crack it, impede your car’s ability to absorb the impact of a more serious collision later on, and jeopardize the proper deployment of the air bags in the event of a crash. Under the hood, beware of hidden damage to the radiator and engine. Engine: Any disruption of the intricate engine systems of today’s cars by a minor crash can cause much bigger mechanical problems later on. Transmission: If damaged in any way, gear pieces from the transmission can break off and migrate into the cooling system, leaving your vehicle in irrepairable condition. Be particularly cognizant of this fact if you have a car, SUV, or truck with rear-wheel or all-wheel drive, since such vehicles are notoriously susceptible to sustaining this kind of damage. Exhaust: Another common rear-end-collision problem is damage to the exhaust system, leading to reduced fuel economy—not to mention the possibility of a buildup of dangerous carbon monoxide fumes inside the passenger area of the car. Radiator: A fender bender, especially at the front end of the car, can poke a hole in or possibly crack the radiator. But even a pinpoint leak in the coolant line will cause overheating eventually. Auto Body: Even out-of-the-way scratches and almost-invisible dings to the outside shell of your vehicle should not be overlooked! Where the painted finish is compromised, the underlying metal will be exposed to water, salt, and road chemicals, and that leads to rust. And sure, a little rust is ugly, yet not the end of the world. But what starts as a tiny rust spot can quickly grow, traveling under the paint to other parts of the auto body, eating holes in the panels, degrading fasteners, and conceivably weakening the structural integrity of the entire car. For all the reasons stated above, we at Keri Coach Works always tell our customers: We’re glad your accident was just a minor fender bender—but please don’t take it lightly. 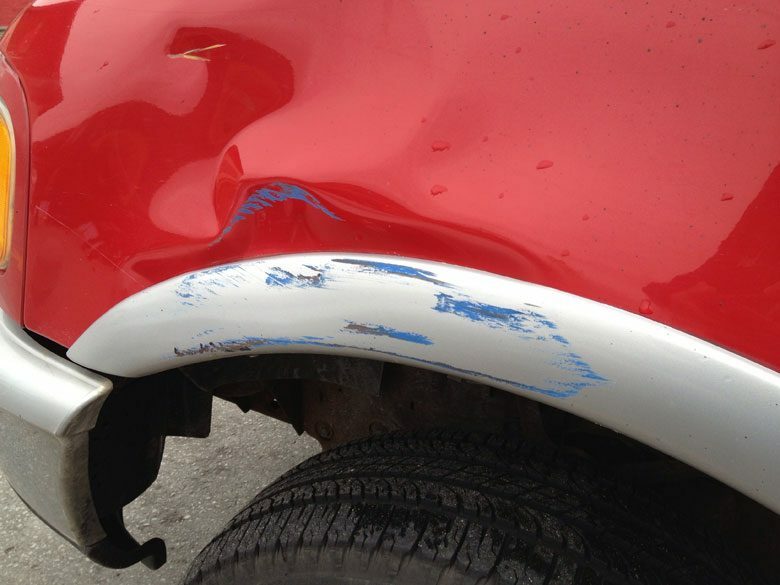 We are more than happy to make any needed auto body repairs. But we also have the tools and expertise to inspect your damaged car for more serious problems hidden out of sight, and then advise you as to what to do about it. Better safe than sorry!